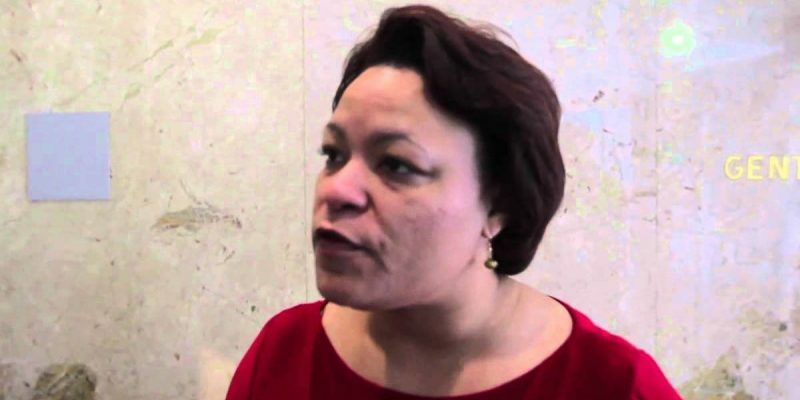 How Big A Joke Is LaToya Cantrell? This Big. What else might one expect from somebody whose qualifications for a job running one of the nation’s larger cities include a spot on a city council and a self-employed gig as a community organizer? Cantrell’s challenge in New Orleans isn’t to fight “ageism” or “transphobia.” It’s to reverse the complete shambles that city’s infrastructure has become. There is barely a street in Uptown or Lakeview which wouldn’t be improved by turning into a dirt or gravel road, potholes and buckling concrete are so widespread. The Sewerage & Water Board can’t reliably provide potable water (or accurately bill for the service) or prevent flooding when New Orleans catches a mere couple of inches of rain in a day. The police force is barely hanging on while most crimes go unreported, much less unsolved. As to economic development, there is none. When what used to be prime office and warehouse space is being turned willy-nilly into condominiums and apartments for out-of-towners looking for a weekend crash-pad or a VRBO investment, it’s a telltale sign that the industrial and commercial heart of the city has been ripped out and replaced with tourism. Complaints about the inability of the city to provide affordable housing for its residents are hardly a surprise – New Orleans is relying on tourism to drive its economy and its political leaders are shocked to find that the jobs as hotel maids, cab drivers, bartenders, waitresses and bellboys tourism provides don’t provide a sufficient living to make the note on a $400,000 house. Interestingly enough, manufacturing jobs – the ones the corrupt politicians before Cantrell came along chased out of the city – do. That’s a debate Baton Rouge, which is probably 30 years behind New Orleans, is currently having with itself – and the expected result doesn’t appear to be any better. Cantrell is showing she isn’t capable of governing New Orleans. Banging away at imaginary obstacles like “intolerance” in a city whose politics is no less monolithic than was Saddam Hussein’s Iraq or Leonid Brezhnev’s Soviet Union is a pure waste of time, which it’s clear her time as mayor will be. Until New Orleans is willing to elect a mayor with the brains and fortitude to address its failed infrastructure, destroyed business climate, absent middle class and doomed economic future – and to leave alone stupid symbolism like “fighting transphobia” – nothing much can be said about the leadership of the Big Easy and whether it’s capable of standing up to the city’s real enemies. Previous Article ZOLA: J’Accuse, NFL!